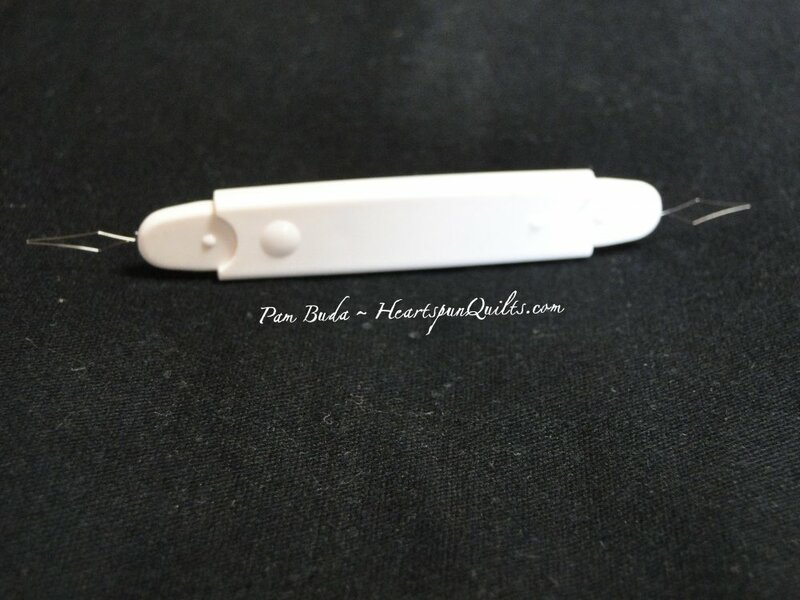 This double sided needle threader is the perfect tool to use when working with silk thread. Its long handle is comfortable, easy to use, and features two threaders. To see how valuable a tool this is, click here to see my tutorial on hints and tips for working with silk thread.